Over the holiday weekend, we put in as many hours as we could manage weeding, starting early and working until we couldn’t take the heat any more. I was determined to be more persistent than the weeds, to pull until they were gone. But there was one big thistle that wouldn’t budge. Instead of getting some help from my husband or getting a tool that might make the work easier, I swore and tugged harder. My persistence crossed over into stubbornness. I strained and pulled and the thistle didn’t budge. In the end, I left the root in the ground and broke off the stem and leaves. After we came in for the day, my back started complaining. I know it was my battle with that thistle that strained my back. I’ve been dealing with muscle spasms and pain ever since. As a result, today’s quote seems particularly apt to me. Over time, trees grow from twigs to giants, but the process is slow. Grass will take root in cracks, spring back after it’s been walked on, and green up again when the rain returns. These plants understand patience and persistence. I, however, have some learning to do. I persisted a little too long in my fight with that thistle, and am paying for my mistake. Now I get to practice patience while I wait for my body to heal. 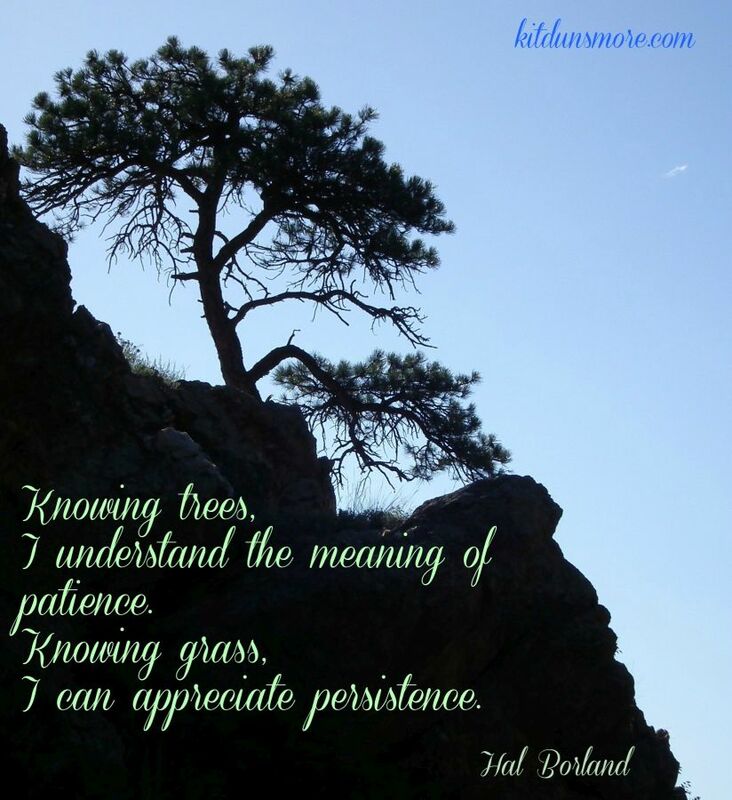 When have you struggled with patience or persistence?